Pacific Gas & Electric wants its customers to pay for the costs of the October 2017 wildfires that tore through northern California, destroying more than 8,000 buildings and killing 44 people. Under legislation now at the state capitol, PG&E customers would be charged an involuntary fee to help the utility company pay off settlements stemming from pending wildfire lawsuits. 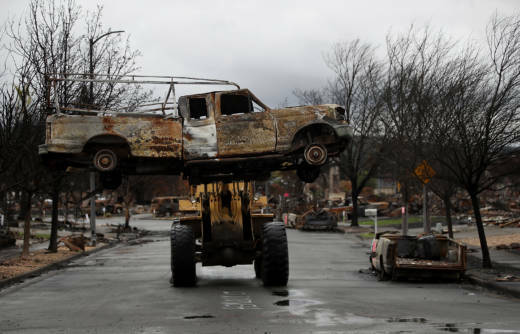 The legislation comes just weeks after Cal Fire investigators concluded that PG&E power lines and poles were responsible for 12 of the October wildfires, prompting hundreds of lawsuits against the utility. John Franzman, who lost his Fountaingrove home in the fires, blasted the proposal. Erin Brockovich, an environmental activist and attorney, is suing PG&E on behalf of Bay Area residents who lost their homes in the fires. She attacked the bill on Monday and accused PG&E of shielding itself from wildfire lawsuits. The bill, first introduced in 2016, was originally aimed at promoting electric cars. It was gutted and amended last week, however, to address PG&E’s liability. A PG&E spokesperson called the bill a "common sense" approach. The October wildfires in Northern California wound up being the largest group of wildfires in recorded state history. The damage resulted in about $10 billion in insurance claims.